Medical imaging information system also known as imaging information is used to transfer the medical images throughout the healthcare system. Medical imaging is carried to reveal the internal organ functions of the body as well as to diagnose the disease. Most commonly used medical imaging systems are X-ray, Magnetic Resonance Imaging (MRI), Computed Tomography (CT), ultrasonography, and endoscopy among others. This imaging information is transferred by using software to provide better treatment for the disease. 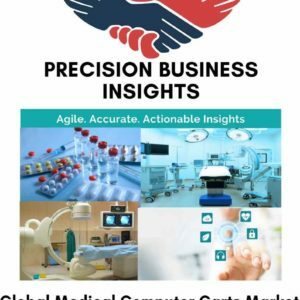 Increase in the prevalence of chronic diseases such as neurological disorders leads to rise in number of diagnostic imaging procedures, development in imaging procedures, advanced and innovative applications of medical imaging software, and reduce in the cost of storage platforms are anticipated to fuel the medical imaging information market. Moreover, increase in storage of medical information, rise in preference for better treatment, and technological advancements in transferring of images are expected to boost the medical imaging information market. However, security issues with data storage, lack of skilled professionals, and high cost for initial investments are expected to impede the growth of medical imaging information market. Medical imaging information market is growing due to increase in the demand for better treatment for the diseases. Rise in the number of diagnostic procedures and technological advancements in the data storage also expected to propel the medical imaging information market. 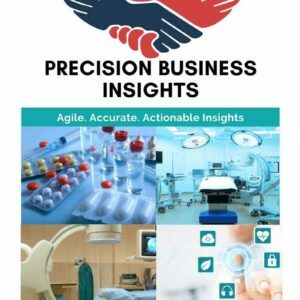 Moreover, acquisitions and mergers, collaborations, and launching of newer platforms for data storage are the strategies followed by the market players for increasing their revenue share in medical imaging market. For instance, in July 2017, Royal Philips acquired TomTec imaging systems GmbH to strengthen its ultrasound business. Moreover, in November 2015, Dell inked an agreement with Zebra Medical Vision to develop medical imaging platform that integrates clinical data into user-defined dashboards. Geographically, global medical imaging information market is segmented into North America, Europe, Asia Pacific, Latin America, and Middle East and Africa. North America medical imaging information market is driven by presence of huge number of medical imaging market players and technological advancements in the data storage. Europe medical imaging information market has a significant share, which is attributed to presence of skilled professionals, adoption of newer technologies, and collaboration between the companies for development of newer imaging platforms. 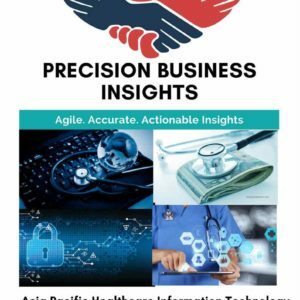 Asia Pacific medical imaging information market expected to exhibit significant growth owing to increase in medical tourism in Asia Pacific region, and expansion of business by market players into the region. For instance, in July 2014, Toshiba Medical Systems Corporation established diagnostic imaging systems manufacturing base in Malaysia. Latin America medical imaging information market has a lucrative growth oppurtunities due to increase in the number of medical imaging procedures, increase in the preference for better treatment, and launching of newer platforms by market players in the region. Middle East and Africa medical imaging market is poised to grow at significant rate owing to adoption of newer technologies by the healthcare providers. In December 2016, Carestream Health, Inc. introduced new medical imaging and digital X-ray detectors at Radiological Society of North America (RSNA) conference in U.S.